Strong one-on-one skills are a huge asset for a soccer player. Just about every game situation includes individual attacking and defending. 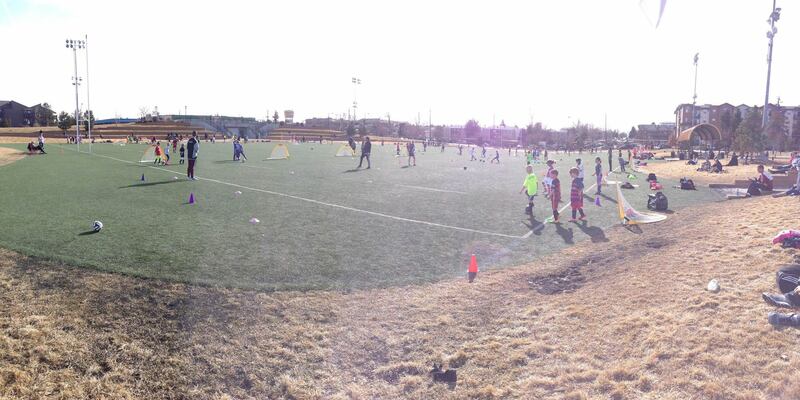 1v1 play is at the heart of Coerver® training and instruction. Our F.O.G programs are designed to focus primarily on this particular, and essential, element of player development. “FOG” programs also include technical work each session on striking the ball, to increase power and accuracy with both feet. A great “pre-season” activity! 2019 Winter F.O.G. is for players in levels U7-U14, with or without prior Coerver® experience. Winter F.O.G. consists of 5 sessions all located at Infinity Park from 10:00am to 11:30am on Saturday Mornings. Registration cost for FOG is $130.00 for the five (5) 90-minute sessions. Full payment must be made at time of registration. Each session’s warm-up kicks off with footwork exercises to improve foot speed and comfort with the ball. Warm-ups will also focus on some of the dozens of ball moves that we teach at Coerver®.